DON’T MISS OUT ON YOUR CHANCE FOR SAVINGS ON COSMETIC TREATMENTS AND SKINCARE PRODUCTS! Stay in the know and take advantage of the savings by joining our mailing list below and following us on social media! 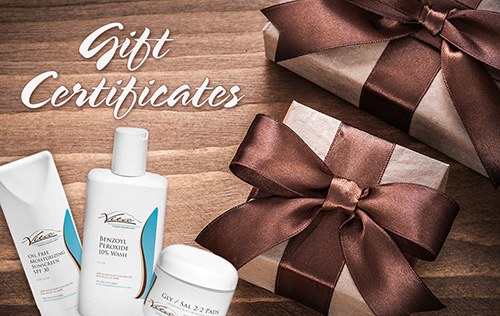 Treat Someone To The Gift Of Beautiful Skin. * Please note, some gift certificates may have specific guidelines for use. Please contact us at 530-528-VITA if you have any questions.